As we speak, the Dutton camp is using their expanded powers to reduce the impartial nature of law, looking to install those who follow his rhetoric. The Law Institute of Victoria says it is “extremely concerned” about the repeated attacks on the judiciary and legal profession by home affairs minister, Peter Dutton. The Federal Labor party has also chimed in, accusing newly appointed attorney general, Christian Porter, of failing to stand up for judicial independence in the face of Dutton’s tirade about the political inclinations and sentencing practices of magistrates. 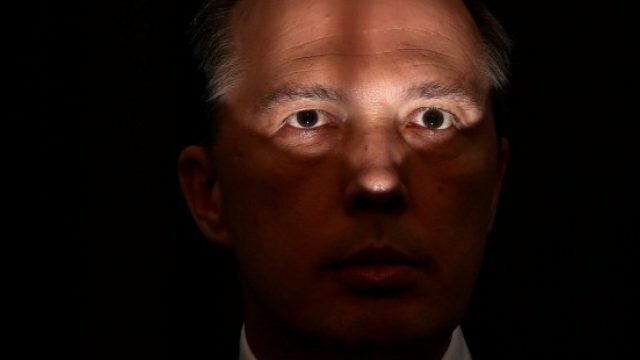 After claiming Victorians are too afraid to go out for dinner due to “African street gangs”, Dutton went on to blame the appointment of “civil libertarians” to the state’s judiciary for offenders getting away with crime and reoffending. He said Victorians are “bemused” by “the jokes of sentences being handed down” to offenders, and the “political correctness that’s taken hold” of the state’s judiciary. The commentary is reminiscent of populist rhetoric employed by radio-shock jocks and tabloid newspapers which see fit to regularly misreport selected cases and embellish crime statistics, with a view to stirring public hysteria and growing their audience. The Law Institute of Victoria sees Dutton’s recent rhetoric as part of a baseless and irresponsible attack on the judiciary and legal profession for purely political gain. Mr Dreyfus points out that protecting the judiciary and the rule of law are a vital part of the attorney general’s role, one which is being disregarded for fear of political persecution. For his part, Mr Porter has defended Dutton’s rhetoric as part of the democratic process, adding that the home affairs minister did not criticise specific members of the judiciary. This is not the first time the Coalition has been taken to task for using populist and unfounded rhetoric against the judiciary. Last year, Turnbull government ministers Greg Hunt, Alan Tudge and Michael Sukkar narrowly avoided contempt of court charges during an active terrorism case after calling justices of the Victorian Court of Appeal “hard-left activist judges” engaged in an “ideological experiment” in sentencing. In a special hearing called by the solicitor general, Stephen Donaghue, the politicians apologised “unreservedly” for their comments and withdrew them in full, admitting they were incorrect and uninformed. Last year, government ministers narrowly avoided contempt of court charges. Clearly, the message did not get through to Mr Dutton, who seems to speak and act with impunity. Clearly, the message did not get through to Mr Dutton – a minister who seems to speak and act with impunity. The separation of powers doctrine dictates that the judiciary should not be the subject of improper influence by the other branches of government – being the executive and legislature. Comments by Dutton and other Coalition ministers to the effect that members of the judiciary should be selected on the basis of their ideological leanings and ability to deliver “tough” sentences – rather than independently look at all factors and apply the law – seek to undermine this doctrine and unduly influence both the selection process and practices of the judiciary. Dutton’s populist political grandstanding may have some members of the public “egging him on”, but the reality is that such rhetoric seeks to undermine one of the central pillars of our democracy.